Guaranteed admission program for Kentucky high school seniors. The Guaranteed Entrance to Medical School (G.E.M.S.) 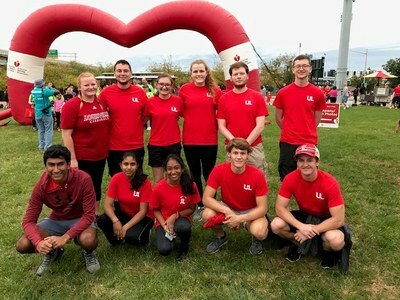 program was established in 1988 and has given high school seniors from across the state the opportunity to guarantee admission to the University of Louisville School of Medicine. The G.E.M.S students are given the opportunity to observe numerous medical specialties, participate in seminars, serve the Louisville community and build relationships with students who have like-minded goals of becoming a physician. After completing the G.E.M.S. program at the University of Louisville, you will automatically be admitted to the University of Louisville School of Medicine if you maintain a 3.4 cumulative and science grade point average in undergraduate work, score at or above the national mean on each section of the Medical College Admissions Test (MCAT), and participate fully in program activities. 5. Submit resume including all extracurricular activities, honors, and awards. 7. Go to the Guaranteed Entrance Programs Application Instructions Page to complete on-line application. 8. Deadline to apply is December 15. Read about our distinguished GEMS Alumni through our Alumni Spotlight Blog authored by our current GEMS students.